21" by 48" Collage. 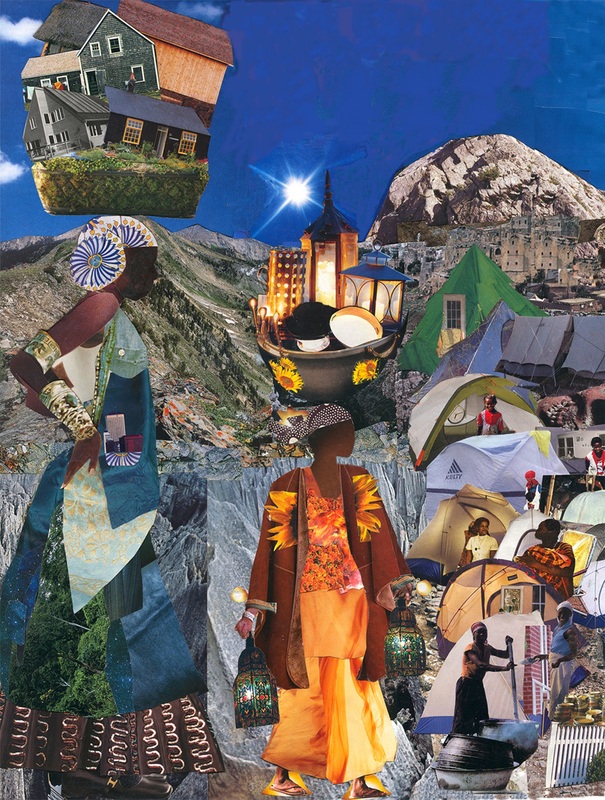 I created this collage after the devastating 2010 earthquake in Haiti. Over 300,000 dead. Millions injured. Millions of homes destroyed. In my own feelings of shock, sadness and helplessness of the situation I created this collage. The Women look out at the vast tent city so much is needed. When night comes tent cities become the darkest of dark. There are no street lights or any lights except moon and stars. When night comes the predators emerge and prey on the innocent. The Light Bringer brings lights for the people. The light is for safety and for protection. The tent city citizens need light so life can go on even after the sun goes down.